Some vehicle models have changed little in appearance over the years, so it’s hard to tell when they were made just from looking at them. 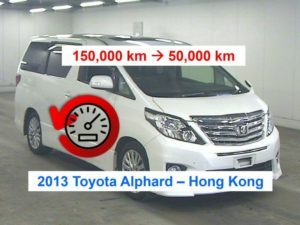 Examples include the Toyota Land Cruiser, RAV 4, Nissan Patrol (Safari), Mitsubishi Outlander, Toyota Alphard / Vellfire & Estima plus other popular SUV’s and minivans. 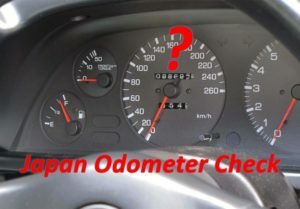 Most people don’t realize that vehicles produced for the Japanese domestic market DO NOT have the actual production date marked anywhere – not even on the manufacturer build plate ! So as a buyer you will not find an obvious build date to compare against the sales information. 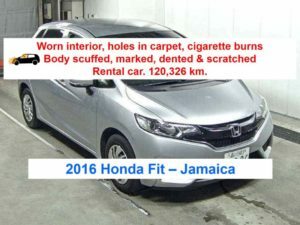 It is EASY for dishonest sellers to make the vehicle appear 1 or 2 years newer. The only evidence of build date (if you know where to look) is on the seat belt tags which is printed with the manufacture date of that batch of seat belts. This would usually be within a couple of months of the vehicle production date – however these tags can easily be removed so it is a RED FLAG if they have been cut off and you should definitely investigate further. Sellers often take advantage of this situation by claiming a vehicle is 1 to 2 years newer than the actual date of manufacture – allowing them to significantly increase the sale price. This is most common in African countries like Kenya and Rwanda, as well as the Caribbean, Hong Kong, Malaysia and Australia. 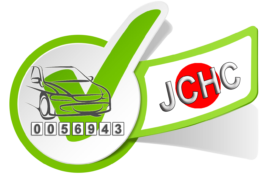 The auction records in our Basic Check will quickly tell you the year of the vehicle as it was auctioned in Japan. Note however that this will be based on the date first registered which in Japan may in fact be 1 year or more later than the actual build date – if the vehicle was not registered right after it was produced. This is normal practice within Japan – even though it would seem easy to include the exact production date (or at least the month / year) on the build plate. Therefore the auction date information is not conclusive. 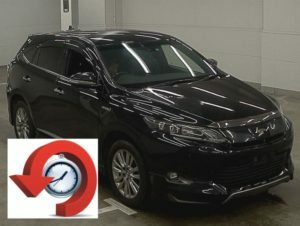 For example, a vehicle rolling out of the Toyota Japan factory in late December may not be registered until January the following year – in which case it would be registered and sold in Japan as 1 year newer than it really is. 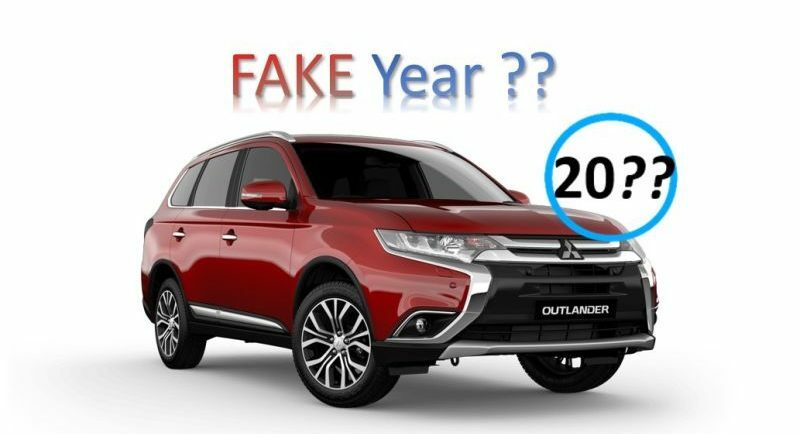 OR the same vehicle may remain on display in dealer stock for over 13 months before finally being sold and registered – it will then appear to be 2 years newer than it really is. Vehicles are usually invoiced and exported from Japan as the year first registered, NOT the actual build date. This lie is often knowingly carried on by sellers in other countries who have a lot to gain by doing so – supported by digitally altered images and faked paperwork. So what can you do to find out the REAL build date ? 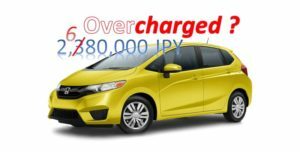 For vehicles built in Japan, our Intermediate Check & Full Check options will provide the ACTUAL build date PLUS the first registered date in Japan. 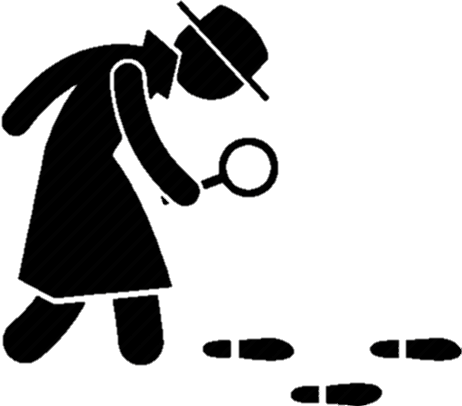 Note that our Registration Certificate option will only show the first registered date as supplied by the Japanese Registration Authority (MLIT). As foreign makes were produced in another country, the Japanese authorities often don’t have access to the actual build date. Usually they arrived in Japan by ship at least several months after their actual production. So for vehicles built outside of Japan you would need to contact the manufacturer directly or use a VIN decoder to determine the build date. Don’t get CAUGHT OUT by the fake build year scam.